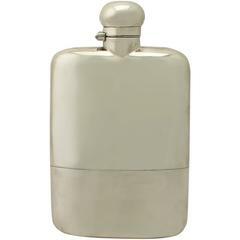 Solid pewter fisherman's flask, of handcrafted pewter, from Sheffield, England. Period: Est 1920s Origin: England Size: 4 1/2". Antique fishing old west gambling and drinking sporting goods sporting goods other drinking fishing sporting goods other. 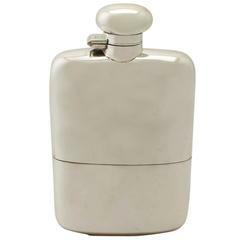 Sterling Silver Hip Flask, hallmarked 1907.